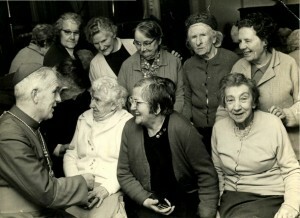 Bishop Kavanagh paying a visit to the Cabra Day Care Centre. The other man in the photograph is Robert O’Sullivan and his wife is the lady standing on the left of the picture. 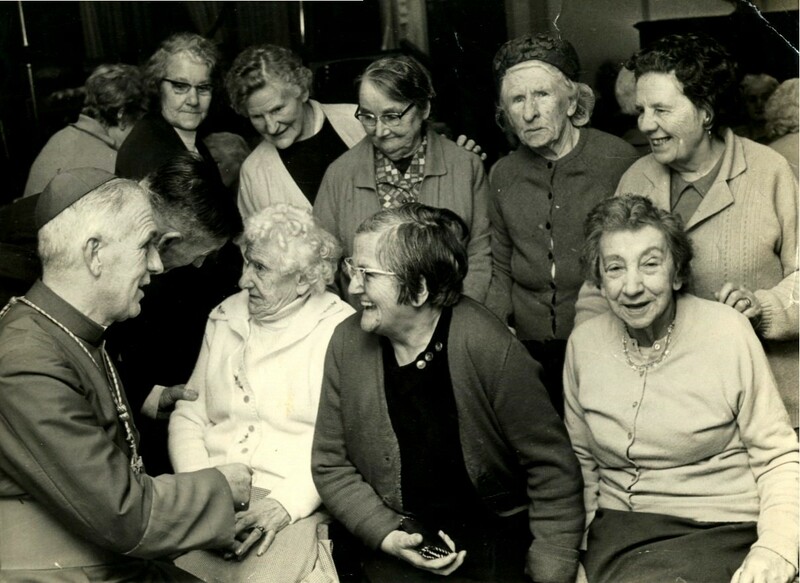 Anyone recognise the other ladies in the photograph? Veronica’s parents originally came from the Ballybough end of Drumcondra. ‘Our family came to Cabra from Drumcondra (Ballybough end) and my mother didn’t want to move here at all – she wanted to go to Whitehall where her sister and brother were living. Mr. Moran was behind her in the queue on the day she went to collect the key for the house and she was saying to the clerk that she would wait and see if Whitehall would come up for her. Mr. Moran stepped up and said “I think you should take that key because if you don’t they’ll put you to the end of the list – you can always exchange later”. So she took it and they became neighbours and friends, his key was for number 17. One of my sisters said as far as she knows Mr. Moran was not a music teacher. (In the 1951 Dubln Street Directory for 17 Liscannor Road Mister Moran is mentioned as being a Music Teacher). The other says they did have a piano in their house! One of their daughters, Ada, became a nun and went off to Ceylon – a very exotic place in the 1950’s’.